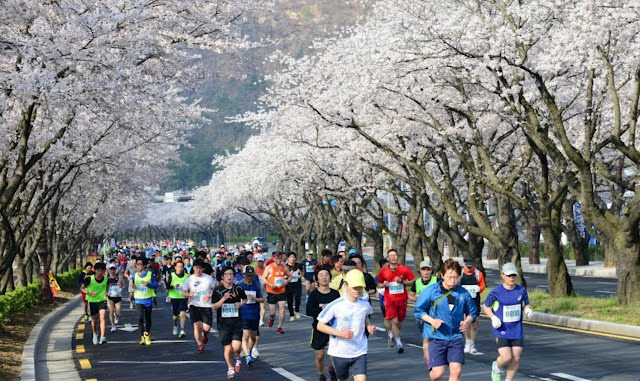 The club intends to organise a trip to South Korea to take part in an overseas marathon. This is a follow on from the successful trip we had to the Chuncheon Marathon in South Korea in 2016. It’s just a change from the local marathons that we do regularly. At the same time as taking part in the Marathon (or 5km or 10km Runs or Half Marathon if you wish), a short tour will be incorporated in the trip so that family members or non-running friends can join us. 1. Expression of interest to join the trip : Please let me know as soon as possible if you are considering to take part, so that we can have an idea whether this project will take off or not. 2. Tour booking closing date : 1st February 2017. 3. Marathon Registration closing date : 24th February 2017. 4. The remaining full tour package is payable before 1st March 2017. 5. Please attach a copy of your passport (must have at least 6 months validity) when booking. 7. The race fee is included in the package (please specify which race you want to participate in : full, half, 10km, 5km or none). 8. We need at least 20 pax to make the trip viable at the price quoted. We hope those who are able will participate in this trip and will confirm their booking early.